Purchase the 8oz Shampoo For Color, And The Conditioned For Color Is Free. Last Day! Purchase the 8oz Shampoo For Color and get the 8oz Conditioned For Color totally free!! 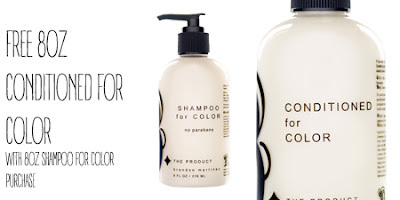 This is a $25 value, yours free when you purchase the 8oz Shampoo For Color.